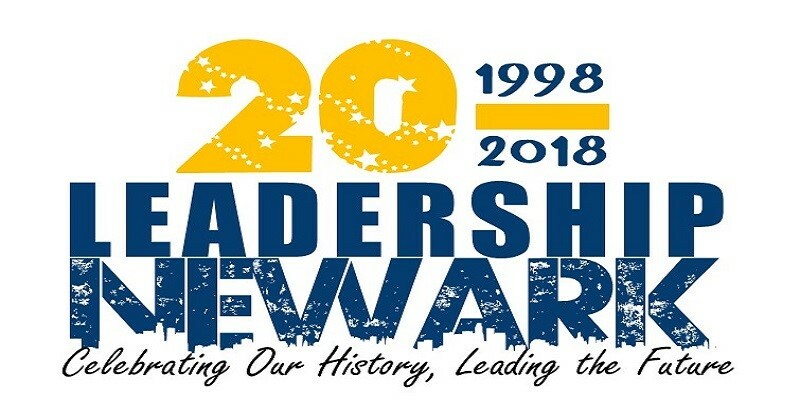 Leadership Newark, Inc. (LN) is celebrating its 20th Anniversary this year, 2018. This is a major milestone in the history of LN or any business, organization or institution. Not only is this a time for celebration and recognition but it also a time for reflection. I have had the privilege and honor to be with the organization since it’s inception, so bear with me as I briefly share a few of my thoughts over the past 20 years along with a bit of where we are headed for the next 20 years. Leadership Newark was borne out of the desire to strengthen the civic infrastructure in the City of Newark as it was undergoing a renaissance. The planning began in 1997 at which time the founders reached out to those considered the key leaders of the City to ascertain if there would be an appetite and support for a new nonprofit that would cultivate leaders on behalf of the City. The overall feeling was the time was ripe for such a program. That led to LN’s incorporation and the first Class was admitted in 1998. Today we have 20 Classes of Fellows who are either currently engaged in the fellowship program or among the nearly 700 alumni. I think back to 2000 when the first group graduated, but also it was when the late Congressman Donald Payne named Leadership Newark a Local Legacy. I remember thinking, how could this be, sounds good – but we just got here. However, as the Congressman so aptly expressed, this is a once in a lifetime opportunity as the Library of Congress was celebrating its 100 year anniversary. He wanted to ensure organizations doing great work in his district would be recognized and memorialized in the annals of the Library of Congress. Today, I say, what foresight – such a gift! Leadership Newark was inducted into the Library of Congress. I think back to 2002 when the planning began for the Leadership Newark Graduate Organization (LN-Go). The formal organization stayed in place until 2008. Thereafter it was determined the alumni would better serve Leadership Newark if the office set itself up with an alumni engagement structure. Which is where we are today, yet it remains an area where we have much room to grow. However, as the LN alumni know, the board and staff, wholeheartedly feel they are the heart and soul of Leadership Newark. Everyday I am thankful for how engaged the alumni remain year after year. We also, not only recognize and profile an alumnus weekly, but we identify one of our alumni to honor at our anniversary events. I think back to 2006, when we launched a cable show entitled, “Taking the Lead”. The alumni were very engaged and assisted as producers and co-hosts. Thereafter, we began to plan new programs realizing our flagship program became synonymous with the name of the organization. It became clear our marketing needed a boost. We wanted the world to know that Leadership Newark was and is more than simply the public policy fellowship. Today, we can stand tall on our 20 year history and say we have grown offer leadership development programs for adults and youth; public policy enrichment for both age groups as well; public policy summits open to the public every 1.5years; projects teams working collaboratively with local nonprofits; board training for those interested in serving on nonprofit boards as well as recommending skilled individuals for placement on boards. I would also say our alumni relations and networking is strengthened each and every day. Leadership Newark has always had a strong board of trustees to help guide the organization and staff. There have been challenging moments periodically and the board has moved mountains to ensure we remained standing. In addition to the trustees, the alumni network, former and current staff member, community partners and our funders deserve a huge shout out of thanks as well as our gratitude for the ongoing support. It takes a village – and the Leadership Newark family is simply AWESOME! What is in store for the next 20 years? New alliances, a bigger footprint and Leadership Newark will be going global. Stay tuned. mission and vision as we develop leaders for Newark’s future. ©2018 Leadership Newark – All Rights Reserved.